June 1 to June 30, 2013.
work the challenge(s) on your own. Then I have great news! 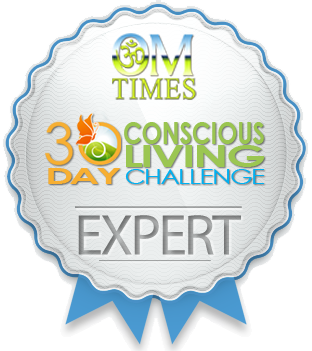 I am partnering with OM Times Magazine as their “Quantum Consciousness” expert for their inaugural “OMTimes & Gaiam TV 30-Day Conscious Living Challenge“. 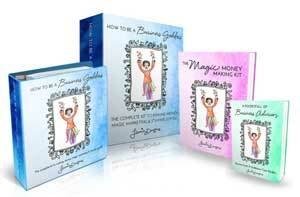 The challenge I’ve created for you is “The ABC’s of Actively Being Conscious”. Each day in June, you’ll have access to a new article with one simple “tool” or exercise to apply in your life that day. Each one takes very little time (I know you’re busy! ), and some include audios to best guide you through the experience. We will work through the ABC’s one at a time, and by the end of the challenge you will be able to enter what I call an Open State of being which will support you in Actively Being Conscious. It’s by entering this Open State — which you will learn how to do in the challenge — that you are able to easily access your own creativity, intuition, and natural magic! And the more you live in this state, the more at peace you become. Besides the challenges themselves, what’s exciting about this is that there’s an entire challenge / community site set up for it. If you join the community, you can interact with the experts who will be on-hand to hear how you’re doing and answer any questions. You can also interact with others (like you) who are doing the challenges. Invite your friends, too; the more the merrier! You can create your own profile, tell us about yourself, and become as much a part of the community as suits you. Happily, there’s already quite a bit of activity going on! Joining the community is optional (you can still access all the content) but I just know that you will have a lot to contribute, so I hope you’ll join us! It will be a lot of fun and it’s all free, plus you’ll be eligible for prizes (and there are a lot of them). 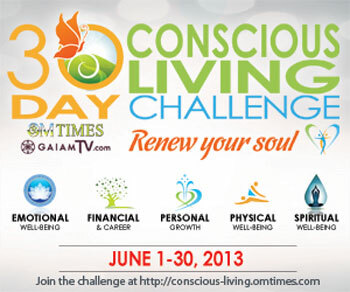 You can browse the challenge community site here: OMTimes & Gaiam TV 30-Day Challenge Community. Once you’re there, be sure to check out my Expert page for more about me and the ABC’s challenge. And if you join, leave me a note to say hi and introduce yourself! The button above will take you directly to my challenge content (which starts June 1). Or you can subscribe to OM Times here and be notified the moment it’s launched. By the way: All of the challenge articles will be published at OM Times Magazine as well as the challenge community site but they’ll be organized according to challenge on the challenge site, making it easier to follow the one (or more) you choose. 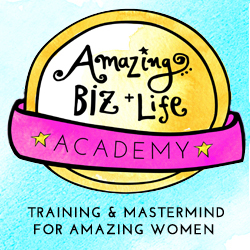 Along with me, there are almost 30 additional experts offering challenges of their own! I’ve had some sneak peeks and they are fantastic! 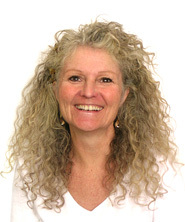 Each expert has a page set up in the community with more information about them and the challenge they are offering. Do yourself a favor and go check them out! Then follow as many as you dare! If you have any questions, ask away! And share this page with your friends with the buttons, below. Thanks for visiting, and I do hope I’ll see you at my challenge, or at least around the community forums.